William David Coleman was born in Fayette County, Kentucky, USA, in 1842. He came to Liberia at the age of eleven, with his widowed mother and three more family members, in 1853. They settled not far from Monrovia, in Clay-Ashland, in Montserrado County. Despite a poor youth - he even had to give up school because of lack of money – he rose to the highest position in the country. He thus followed the footsteps of J.J. Roberts, Liberia’s first President. As a young adolescent, William Coleman first became a carpenter, then master workman, farmer, and finally a successful trader – before he entered politics – while studying in the evenings and nights. 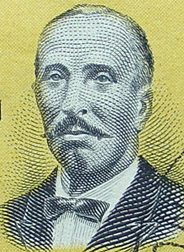 He started his political career in 1877 as a member of the House of Representatives representing Montserrado County, rose to the position of Speaker of the House of Representatives and was elected senator for Montserrado County in 1879 - a position he held until 1892 when he became Vice President of the Republic of Liberia under President Cheeseman. The two men were twice re-elected. Both were ‘True Whigs’, i.e. member of the True Whig Party. 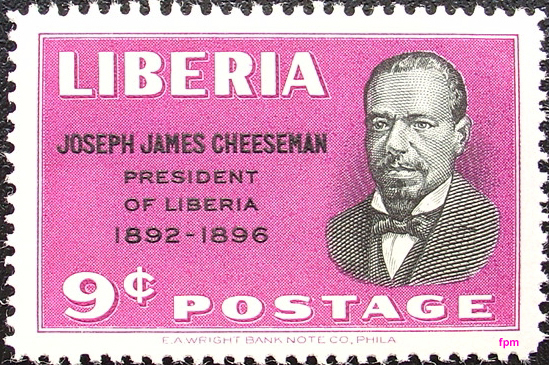 President Cheeseman died late 1896, the first President of Liberia to die in office. William David Coleman succeeded him, served his unexpired term and was elected twice in his own right. He was the second American-born Liberian President who hailed from the State of Kentucky, after President Alfred F. Russell (1883-1884). President Coleman was particularly interested in education, he re-opened Liberia College assisted by Dr Edmond Wilmot Blyden. He also took measures that aimed to improve the country’s financial situation: he reorganised the customs department and installed bonded warehouses at the six ports of entry where since 1864 foreigners (traders) were allowed to undertake economic activities. The third cornerstone of his Administration was his Interior Policy. Coleman wanted by all means to increase the government’s presence in the interior since he was convinced that the future of Liberia depended on the exploitation of the resources of the interior. He established influence of the Liberian Government in the hinterland north-west of the Saint Paul River, beyond his home-town of Clay-Ashland. However, notably during his second term a growing number of Americo-Liberian fellow citizens disagreed with his interior policy. Differences sharpened over the years and an increasing number of once political friends sided with his opponents and put pressure on him to resign. Finally, President Coleman stepped down in December 1900 and thus became Liberia’s second president who resigned, President Anthony Gardiner being the first one. Gardiner’s successor was Alfred Russell who, like Coleman, hailed from Kentucky, USA. This coincidence is not a historical detail. It is very important and significant since it is illustrative of the fact that the Americo-Liberian political class consisted of a very small group of people. After his resignation William Coleman did not give up his political ambitions. In 1901, 1903 and 1905 he ran for the Presidency, on a ticket of the People’s Party, but was defeated each time. He died in his home-town of Clay-Ashland in 1908. Since 1822 – the arrival of the first colonists – efforts to develop the country had been hindered by a number of factors. First there were the internal divisions within the group of colonists (far from homogeneous) separating ‘blacks’, including so-called Congo-people, from ‘mulattoes’ and other light-skin Americo-Liberians. The ‘Roye-incident’ is illustrative of this internal struggle for power. Secondly, there were external threats to the survival of a Colony or Republic governed by black people. These threats even gave rise to the proclamation of the Republic, in 1847, but are also illustrated by the greediness of European colonial powers during the ‘Scramble for Africa’ (see the loss of the Gallinas territory). Thirdly, there were threats from within that dated from the first days of colonisation: clashes and conflicts between the settlers (and later their descendants) with the tribal population living in the area claimed by the republic, i.e. the coastal counties and the vast Hinterland. The deeper the Liberian Government penetrated into the Hinterland and the more territory it claimed (if she would not do it European powers would claim it) the more resistance it met from the tribal population. Lastly, the overall constant problem was a financial one: keeping the foreigners under control resulted in the restrictive 1864 Ports of Entry Law (heralding the era of a Closed Door Policy). This Act outlawed international trade outside the main six ports, adding another reason for the inland and coastal tribal population to rise against the authority of the Monrovia based government. Whereas government revenue decreased as a result of the restrictive law, increased military spending to suppress the numerous revolts and wars added to the public deficit. This deteriorated an already precarious financial situation. Consequently, the Liberian Government faced financial bankruptcy at more than one occasion. President Coleman’s ambitions envisaged the emergence of Liberia as a politically stable, economically strong and financially sound state. In those days, at the end of the 19th century, the Americo-Liberian population numbered 10,000 – 12,000, exclusively living on the coast, whereas the size of the tribal population was unknown but estimated at between 100,000 and 200,000 people. 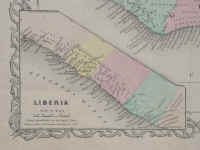 President Coleman was convinced that Liberia would not become a strong nation without the use of the vast resources of the Hinterland. But he had to face the country’s historical problems: lack of funds and a politically and culturally divided country (‘the first colonists had never seen Africa before, the tribal Africans had never seen them before’) with a long historical record of conflicts, clashes and wars between tribal people and immigrants. The Americo-Liberian population only considered itself civilised and since the first Constitution citizenship was limited to the colonists and their descendants, tribal people were ‘subjects’ of the Republic. One of the most persistent themes of Liberian history since 1822 is the resistance of tribal people to Americo-Liberian rule. It qualifies as the major obstacle to nation-building. Historically, the toughest resistance came from the Vai, Gola and Loma in the north-west of the country, within and to the north of Liberia’s most western coastal county, Grand Cape Mount County. In the central part of the coastal region that during the first decades of colonisation constituted the republic’s territory, the Dei, in Montserrado County, and the Bassa and Kpelle, in Bassa County, fought the Monrovia-based government. Finally, in Sinoe County and in Liberia’s most eastern coastal county, Maryland County, the Kru and Grebo resisted Americo-Liberian authority over their lands and villages. Most conflicts and fights were over the ownership of land. Acquisition of land by the Government was sooner or later followed by conflicts. This was a logical consequence of the fact that, reportedly, almost all the land acquisitions by Government were forcible or fraudulent (Kappel: 1980; Akpan: 1986; Abasiattai: 1987). This finding is not surprising since traditional African customs did not allow for the transfer of traditional territory outside the tribal community. In general, during the 19th century, the Government imposed a kind of protectorate on the indigenous population of the Hinterland that it claimed to belong to the republic’s territory. Subsequently, the Monrovia Government intervened in indigenous affairs, with administrative measures or by military means - or both. A second important source of conflict had a more direct economic character, notably the competition for trading opportunities. In this field a specific reason was the trade in slaves. Some of the tribes were actively involved in the slave trade that brought them in conflict with the newly arrived freed slaves. However, a much lesser known immediate cause for military action of the central government against the tribal population were the many inter-tribal wars that were fought in the area claimed by the Republic. Understandably, this motive is closely connected to the government’s at times imposed protectorate over the Hinterland and subsequent intervention in indigenous affairs. President Coleman’s political misfortune occurred following his intervention in one of these inter-tribal wars. Some of the tribal people living in the hinterland of Montserrado County and further north had been at war since the mid-1880s. On the one hand there was a war between Gola and Mandingo over trading routes in the region while various factions of the Gola were fighting with each other too. Initially, in 1897, President Coleman followed the example of his predecessors, President Johnson (1884 – 1891) and President Cheeseman (1892 – 1896), to settle the conflicts by peaceful negotiations. When he failed to realise a peace agreement between the main warring factions he resorted to force. The subsequent killing of Gola people by the Liberian military aroused much debate in Monrovia, a sign that Coleman’s handling of the conflict was not uncontested. Another attempt by Coleman to arrange a general peace between the various tribes of the region in mid-1900 also failed. A peace conference in the interior north-west of the St Paul river, led by President Coleman and which assembled a large number of Vai, Gola, Mandingo and Kpele chiefs, turned into a short but bloody battle. Upon return in Monrovia President Coleman had to defend himself against accusations of the use of excessive force against the tribal population. His “native policy” was severely questioned by ‘leading citizens as well as members of the Legislature’, all partisans – like Coleman – of the True Whig Party. Three days later President Coleman tendered his resignation. Noteworthy, among his opponents were Arthur Barclay (afterwards President of the Republic), Charles King (afterwards President too), Daniel Howard (also elected President afterwards), and Garretson W. Gibson, who succeeded President Coleman. Interestingly, the succession of President Coleman also was a controversial issue. As the Vice-President, J.J.Ross, had died, the Speaker of the House, Robert H. Marshall, was the constitutional successor. Marshall, however, was considered to be incompetent and the Legislature repealed the existing presidential succession law (dating from 1873) and chose Secretary of State Garretson W. Gibson as the new President. With his 70 years Gibson became the oldest person in Liberian history to assume the presidency. What was really happening in Monrovia that made President Coleman resign? Was he rightly forced to resign following the use of excessive force against some of the tribal people of the Hinterland or did he quit power as a result of manipulations of political enemies who sought to replace him? The existing literature mentions four reasons that may explain the end of Coleman’s political career (e.g. Akpan, Henries - see bibliography). The following order is not at random, but most likely in order of importance. First, William Coleman apparently was a progressive man, certainly considering average Americo-Liberian standards of those days. He wanted to make use of the resources of the hinterland and may have wanted to integrate with the tribal population of the hinterland. He even may have considered extending citizenship to them (which actually happened under President Arthur Barclay, 1904 – 1910). These views collided with those of more conservative elements of the settler-political class who wanted more segregation between Americo-Liberians, living on the coast, and tribal people, who they wanted to live their own lives in the Hinterland. Secondly, Coleman failed to properly communicate with members of his Cabinet, among whom Secretaries Garretson Gibson and Arthur Barclay (Finance), who thus did not know his intentions and plans for the development of the interior and its population and hence had difficulties in explaining and defending these to political adversaries. Thirdly, President Coleman distanced himself of the prevailing policy among his fellow TWP partisans that preferred the use of peaceful means to solve inter-tribal disputes. His intentions may have been sincere but he was criticised for resorting to the use of force too soon. Coleman was reproached that people under his command were “committing depredations upon the natives without any warrant or authority from any legally constituted power” (the language of those days). Lastly, it was suggested that President Coleman was biased: against the Gola and pro-Mandingo. Coleman may indeed have been influenced by his friend Edward Blyden who had much sympathy for the Muslim Mandingo people. This, however, was not in line with popular views. In general, Americo-Liberians had more sympathy for the ‘pagan’ Gola than for the Muslim Mandingo and this position may have alienated Coleman further from his fellow citizens. After all - a small family….. 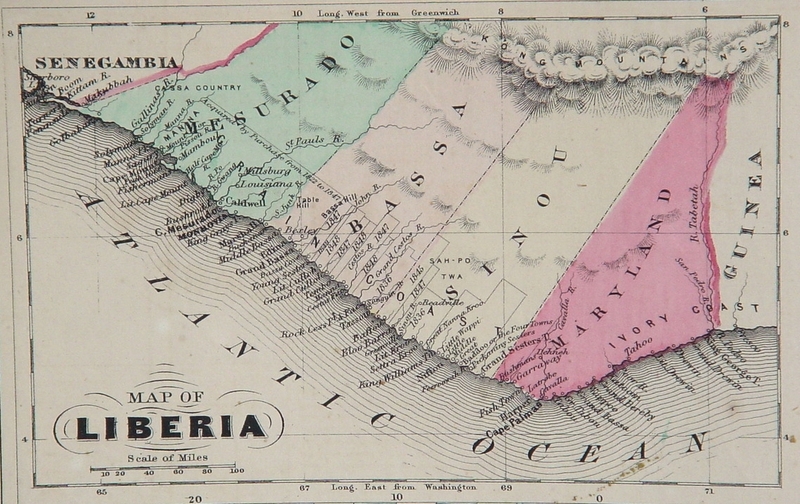 Despite these political differences, Monrovia and the republic was ruled by a small number of families. 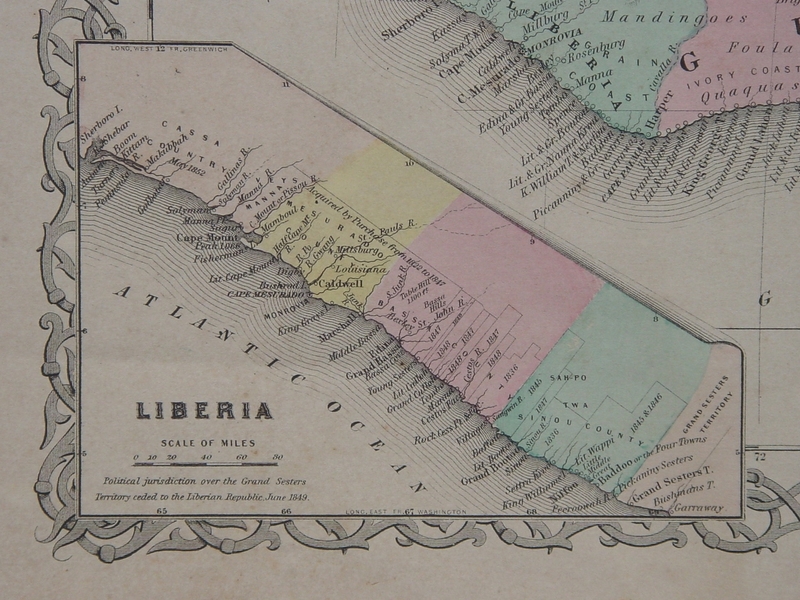 The Americo-Liberian ruling class consisted of 20 – 30 families though they never ruled at the same time. The following is an illustrative but striking example of the limitedness of the Americo-Liberian elite. President William Coleman was the father of Samuel David Coleman who in 1955 was shot dead by security forces after a failed attempt to assassinate President William Tubman. David Coleman was a trained lawyer but he also was politically active. Initially, he worked with Charles King (before the latter became president) but he contributed to the exposure of King’s illegal activities that in 1930 led to his resignation. Under President Edwin Barclay (1930 – 1944) David Coleman rose to the position of Chairman of the True Whig Party. Later, relations between Coleman and Barclay deteriorated to such an extent that the two became political opponents. Coleman then successfully joined William Tubman’s campaign for the presidency but in 1954 switched back to Barclay’s camp that rivalled with Tubman for the presidency. After the defeat of ex-President Barclay in the May 1955 presidential elections the assassination attempt took place (June 22,1955). David Coleman, one time Minister of Interior under President Tubman, now accused of being implied in the assassination plot, was hunted down by security forces and killed on June 27, together with his oldest son under conditions that have never become very clear. Likewise, all facts that surrounded “The Plot That Failed” have never been satisfactorily elucidated. But that is a different story. 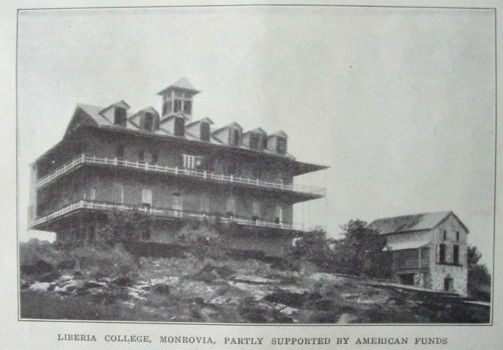 Abasiattai, Monday B., ‘Resistance of the African Peoples of Liberia’, in: Liberia Forum, Vol. 3, nr. 4, 1987, pp.53 – 71 (Liberia Working Group, Bremen, 1987). Akpan, Monday B., ‘’ The practice of indirect rule in Liberia: The Laying of the Foundations, 1922 – 1915’, in: Hinzen, Eckhard, and Kappel, Robert (eds), ‘Dependence, Underdevelopment and Persistent Conflict – On the Political Economy of Liberia’, pp. 57 – 168 (Bremen, 1980). Akpan, Monday B., ‘Gola Resistance to Liberian “Rule” in the Nineteenth Century, 1835-1905’, in: Liberia Forum, Vol. I, nr. 1, 1985, pp. 5 – 27 (Liberia Working Group, Bremen, 1985). d’Azevedo, Warren L., ‘A Tribal Reaction to Nationalism’, Part 1, in: Liberian Studies Journal, Vol. I, nr. 2, 1969, pp. 1 – 22 (Greencastle, 1969). d’Azevedo, Warren L., ‘A Tribal Reaction to Nationalism’, Part 2, in: Liberian Studies Journal, Vol. II, nr. 1, 1969, pp. 43 - 65 (Greencastle, 1969). d’Azevedo, Warren L., ‘A Tribal Reaction to Nationalism’, Part 3, in: Liberian Studies Journal, Vol. II, nr. 2, 1970, pp. 99 – 117 (Greencastle, 1970). d’Azevedo, Warren L., ‘A Tribal Reaction to Nationalism’, Part 4, in: Liberian Studies Journal, Vol. III, nr. 1, 1971, pp. 1 – 21 (Greencastle, 1971). Buell, Raymond Leslie, ‘The Native Problem in Africa’, 2 vols. (Harvard, 1928; London, 1965). Buell, Raymond Leslie, ‘Liberia: A Century of Survival 1947 – 1947’(Philadelphia, 1947; New York, 1969). Campbell, Penelope, ‘Maryland in Africa, the Maryland State Colonization Society 1831 – 1857’(Chicago, London, 1971). Cassell, C. Abayomi, ‘Liberia: History of the First African Republic’ (New York, 1970). Dunn, D. Elwood, and Holsoe, Svend E., ‘Historical Dictionary of Liberia’, (Metuchen, London, 1985). Henries, Doris and Richard, ‘Liberia – the West African Republic’ (New York, n.d.). Huberich, Charles H., ‘The Political and Legislative History of Liberia’, 2 vols. (New York, 1947). Kappel, Robert, ‘Resistance of the Liberian People – Problems of the Ignored Facts, in: Hinzen, Eckhard, and Kappel, Robert (eds), ‘Dependence, Underdevelopment and Persistent Conflict – On the Political Economy of Liberia’, pp. 169 - 197 (Bremen, 1980). Kraaij, van der, Fred, ‘The Open Door Policy of Liberia – An Economic History of Modern Liberia’, 2 vols. (Bremen, 1983). Wreh, Tuan, ‘The Love of Liberty … The Rule of President William V.S. Tubman in Liberia 1944 – 1971’ (London, 1976).